Ok, so our international course on bioethics and film is here at last. I am very excited because it is a wonderful opportunity to test ideas in a multicultural and multidisciplinary environment, and this kind of group is usually very focused and enthusiastic about what we will be doing together in these two weeks: watch films, discuss them together, read articles, write papers, and explore new places. The main goal is to understand a set of compelling bioethical issues by deliberating upon the common ground of stories provided by the movies, and to do it in a comparative way, paying attention at how cultural differences shape our ethical expectations and reactions. That’s one of the reasons why we selected Asier ETA biok (Asier and I), which at first sight is clearly not a film about healthcare. But it is a film about ethics, about the moral dilemmas that many people in the Basque Country have experienced in the last 50 years. How to tell a complex story about collective and personal guilt when the moral majority simply doesn’t want to hear? Basque films, according to Joseba Sarrionandia, have had a hard time struggling with this, because film is an expensive business — to make a conventional film you need to persuade too many powerful people, so the result is usually washed down of anything that is not pleasing to the status quo. 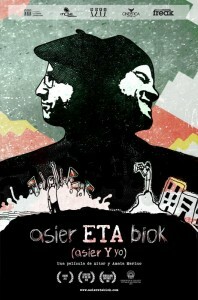 But Asier ETA biok is a film in which the author (Aitor Merino, the co-director and main performer) is a specially autonomous one. By simplifying the production to a bare minimum, he can tell his story of friendship with Asier the way he wants to. He develops and performs autonomy in the making of the film, in the telling of the story, and by doing so he helps the viewer make his or her mind in a more autonomous way. Since our course is intended to “analyze the ways in which cultural traditions and national history influence and are affected by science and technology” (specially healthcare technology, but not exclusively), we thought this was a film to watch together. And we will have the privilege to discuss it with Aitor on May 10, at 4pm at the San Telmo Museum. 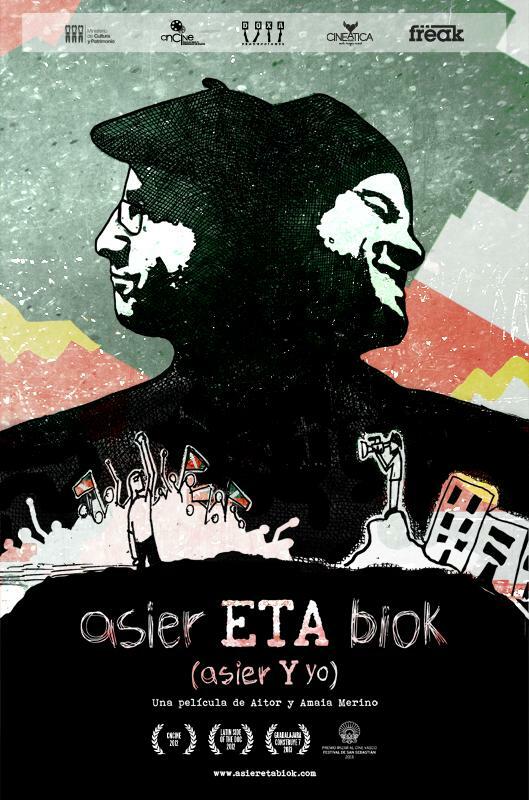 And of course, Asier ETA biok has an extra benefit: it provides a fresh introduction to contemporary Spain and Navarre, with Madrid and Pamplona as main settings. By the way, students looking for news in English about the Basque Country might want to check out Argia, or at least this nice video featuring the Urederra and other sights: http://www.argia.eus/multimedia/english/wonders-of-basque-country. This entry was posted in English and tagged Bioethics&Film by Antonio Casado da Rocha. Bookmark the permalink.